Holiday wardrobe crying out for more colour? 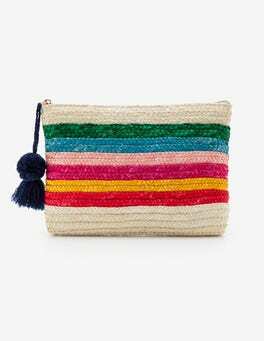 This pompom-zip pouch is the answer to its prayers. Pop the stripy straw design in the matching bag or use it as a casual clutch on its own.